Do you need fast check cashing service to pay for the repair of your broken down car? Has your monthly utility bill gone higher for this month than you had expected? When unforeseen situations like these arise, you need cash fast and from a reliable source. Look no further than the professionals at A TO Z CHECK CASHING in Summerville, SC for all of your cash advance loans and check cashing needs. Our cash advance programs are designed to keep your varied requirements in mind. 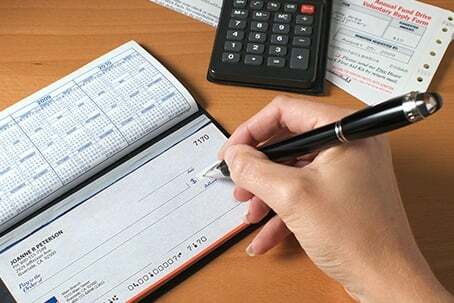 We not only offer cash advance loans but also cash all types of checks for your added convenience.You’ll be sure to receive the highest level of service at our locally-owned location at 1111 F North Main St. in Summerville SC, you can rest assured that your cash source is never too far away when the need arises! We are the destination for all your speedy cash needs, Western Union brand money orders, and check cashing solutions. Contact us today to find out more about our company and how you can make today your payday with our assistance. One of our representatives will walk you through our service offerings and processes.